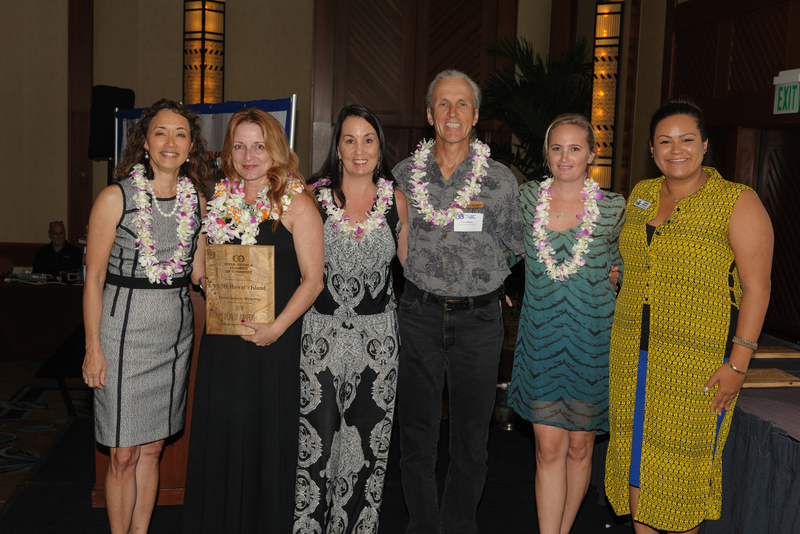 The Kona-Kohala Chamber of Commerce announced its 2016 Pūalu Award winners on Friday, June 24, at its annual installation banquet at the Four Seasons Resort Hualalai. 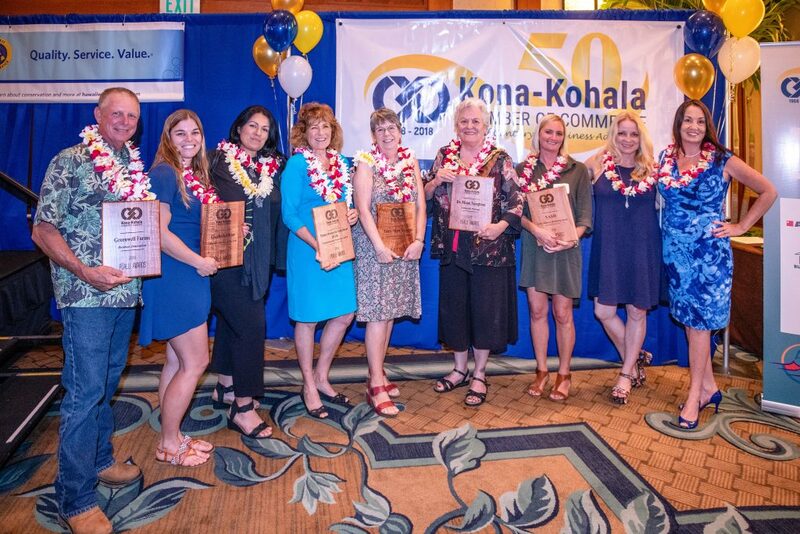 Established in 1979 by the KKCC, the Pūalu Awards celebrate individuals, nonprofit organizations and businesses that bring people together for positive impacts on the community. “Like paddlers in a canoe, singers in a chorus or fibers in a rope, combined efforts go far beyond what we can do individually,” said the chambers press release. 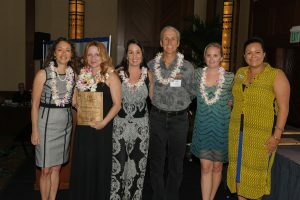 The Hawai‘i Island Humane Society was tapped for “Business Innovation,” an award that recognizes a business or organization committed to improving or enhancing employee’s lives, or exhibits creative product development, marketing or customer service. 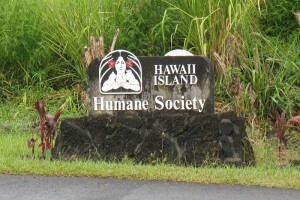 HIHS’s mission is preventing cruelty to animals, eliminating pet overpopulation and enhancing the bond between humans and animals. 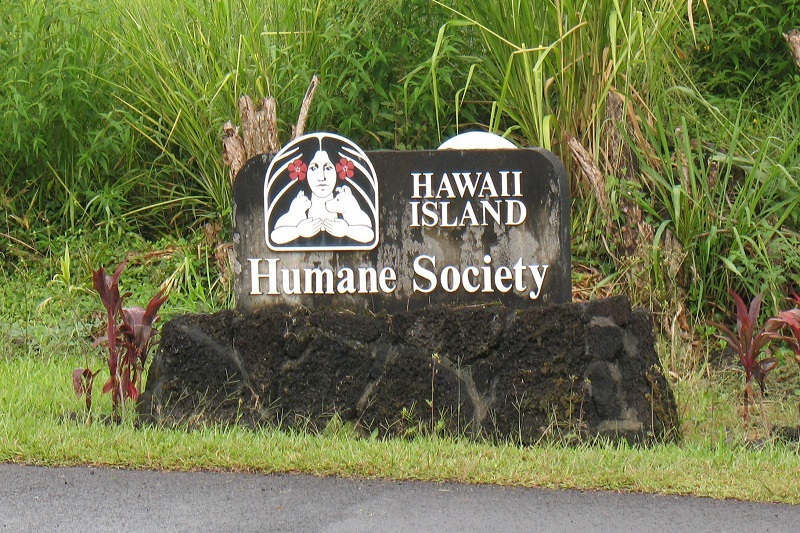 Serving the island for 51 years, HIHS is the only open admission shelter on the island, with over 14,000 animals arriving annually to shelters in Kona, Waimea and Kea‘au. What is innovative about HIHS is that it recently started a field trip program for shelter dogs. At the Kona location, visitors and residents can check out a shelter dog for the day. This creative approach supports the health, well-being and adoption of shelter dogs and is a positive benefit for the people that get to take care of a furry friend for the day. Rather than waiting for those seeking to adopt a dog to come through HIHS doors, HIHS is hoping the new program provides a chance encounter for dogs to find a potential home. The “Environmental Awareness Award” recognizes an individual or organization that exhibits sensitivity and concern for the environment through innovative environmental practice. This year’s recipient is the Office of Maunakea Management. Some of the accolades to describe the winning organization for environmental awareness include creating a culture of care, providing scientific research leading to better environmental management and contentious stewardship. OKMK is one of the few agencies that demonstrates its commitment through documented actions in the implementation of programs and management actions required by the Board of Land and Natural Resources. This includes the 2009 Comprehensive Management Plan. Of the 18 direct management action plans of the comprehensive management plan, 11 are ongoing, four are currently in progress and three are remaining to be implemented for mid-to long-term implementation. OMKM is responsible for continuing to implement these actions as long as the University of Hawai‘i has management responsibilities on the mountain. In 2002, when the wekiu bug was a candidate for federal protection under the endangered species act, OMKM acted immediately to coordinate with other entities to determine the wekiu bug’s presence and habitat range. Establishing a wekiu bug scientific committee to advise OMKM on research activities, they also funded a graduate student to study the biology of the bug. OMKM also began the process of developing an integrated management plan prior to 2007 that became the comprehensive management plan. OMKM initiated this process to develop a comprehensive management plan before any legal action against UH took place. A high priority of the OMKM is to protect the natural resources of the mountain. OMKM has also launched a volunteer program to participate in the stewardship of Maunakea by pulling invasive weeds at Halepohaku. Over the course of five years, nearly 1,000 individuals have pulled weeds culminating in 7,159 volunteer hours and 1,523 bags of invasive weeds. 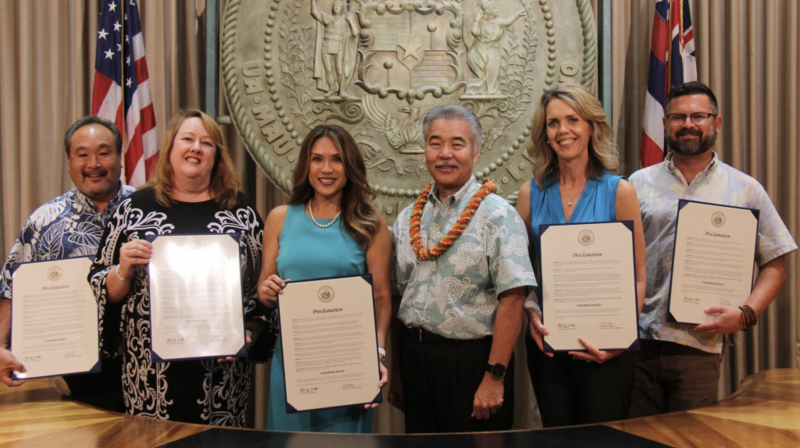 OMKM also does outreach to elementary schools, rotary clubs, chambers of commerce and community associations to provide awareness of its mālama Maunakea activities. 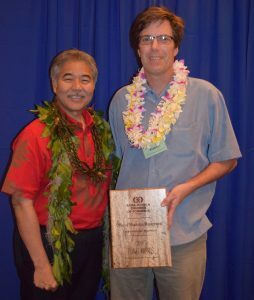 TMT was recognized last week by the Kona Kohala Chamber of Commerce for its community education work on Hawai‘i Island. (Left to right) Dale Suezaki, KKCC Board Chair; TMT staffers Ashley Tanabe, Virginia Aragon-Barnes; and Kirstin Kahaloa, KKCC Executive Director. The Thirty Meter Telescope is the recipient of the “Community Education Award,” which honors an individual or organization that promotes and supports education and enrichment programs that develop personal skills and lifelong learning. This year’s recipient believes that education benefits all and is active in promoting and supporting educational and enrichment programs that develop personal skills and lifelong learning on Hawai‘i Island. In 2008, TMT convened a group of Hawai‘i Island community volunteers to brainstorm how to support educational initiatives for Hawai‘i’s young people. 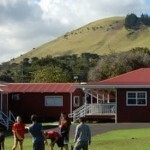 The Hawai‘i Island New Knowledge (THINK) Fund was launched in 2014 to better prepare Hawai‘i Island students to master STEM (Science, Technology, Engineering, and Mathematics) and to become the future workforce for the higher paying science and technology jobs in Hawai‘i’s 21st century economy. The Thirty Meter Telescope selected two foundations—Hawai‘i Community Foundation and Pauahi Foundation—to administer the THINK funds in scholarship and grant-making platforms. 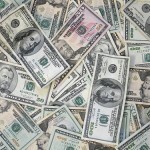 TMT contributes $1 million to these foundations so they have the autonomy to administer grant funds and determining scholarship recipients independently. TMT’s impact since 2008 includes: 24 organizations on Hawai‘i Island received grant funding through the THINK Fund; college scholarships through the Pauahi Foundation are also funded with a preference given to applicants of Hawaiian ancestry. TMT has provided major funding to the Akamai Internship Program that provides college students with summer projects at observatories and companies in Hawai‘i. 265 college students from Hawai‘i participated in the Akamai program to date and at least 140 Akamai alumni are now in science or technology jobs. There are also over 18 examples of educational programs either funded, supported or participated in by TMT since 2008. VASH is the recipient of the “Visitor Industry Marketing Award,” an accolade presented each year to a person or group who diligently works to promote the visitor industry in West Hawai‘i. Part of the promotion of our visitor industry is to make sure visitors are touched with the aloha spirit. This non-profit organization provides a service to visitors that no other group in the community offers. The vision of VASH is that every visitor touched by adversity will also be touched by the aloha spirit. VASH supports visitors that have been victims of crime, have experienced the death of a loved one, have medical emergencies or other adversities while visiting Hawai‘i Island. VASH has assisted visitors in many ways: provided housing for those that have to extend their visit due to a medical emergency, worked with victims of theft who no longer have a form of ID to board a plane and even assisted visitors that have gotten stuck in South Point when they took their rental car to a place they shouldn’t have. For VASH, every day is different, but they meet visitors and approach every challenge with a smile and aloha. Helping visitors in their time of need showcases the Hawaiian values of mālama and aloha. With the challenging and unpredictable nature of the work that VASH does, they support visitor industry marketing by improving a visitor’s situation so they will be compelled to return to the beautiful place that we call home. Kai ‘Opua Canoe Club’s Queen Lili‘uokalani Long Distance Outrigger Canoe Race photo. The “Culture and Heritage Award” is presented to an individual or organization that has exhibited, through its actions, practices that promote island traditions and preserves our multi-cultural heritage. This year’s recipient is Kai ‘Opua Canoe Club’s Queen Lili‘uokalani Long Distance Outrigger Canoe Race (QLCR). The QLCR is the largest long-distance outrigger canoe race in Hawai‘i and has qualified as the world’s largest canoe race. It attracts over 2,500 paddlers and families and supports crews from around the world including Australia, Brazil, Canada, Costa Rica, Cook Islands, Hong Kong, Italy, Japan, New Zealand, Tahiti and the United Kingdom. The race started in 1971 to honor Hawai‘i’s last monarch. During the QLCR, besides promoting the state’s team sport, the race follows a historically and culturally significant course between Kamakahonu Bay and Pu‘uhonua O Honaunau National Historic Park. Other events include: historic Kailua Village Cultural Walk, cultural craft fair and lu‘au. Over the past 45 years, the QLCR has made an unprecedented economic impact and encouraged young people in our community to be active, spend time in our calm Kona waters and honor the sport and cultural traditions of our Hawaiian ancestors. “Chamber Member of the Year” Debbie Baker. 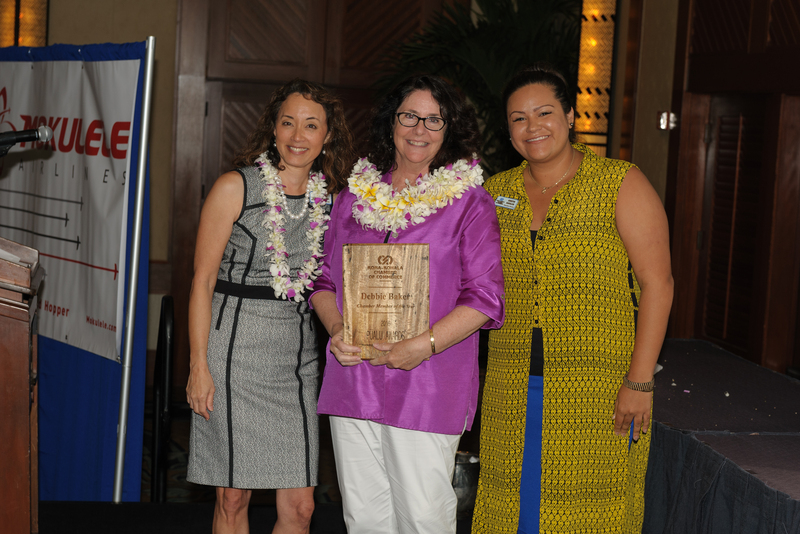 This year’s “Chamber Member of the Year,” Debbie Baker, is a longstanding community member who started her company in Kona over 25 years ago. She is the creative force behind the firm and assists clients with brand development, collaborative partnerships and community building. 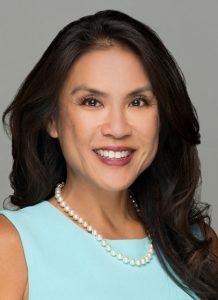 She believes in the Chamber’s mission to help small businesses and has active memberships with all three Hawai‘i Island Chambers as well as the State Chamber in Honolulu. Baker has been an active Kona-Kohala Chamber of Commerce member for over 25 years and has contributed greatly to its success. She served on the board of directors for well over a decade serving as treasurer, chair from 2011-2013 and double terms as past-chair. Her recent tenure as chair guided the chamber board and membership through the tumultuous recession. The chamber has relied on Baker over the years for strategic counsel and she has always provided keen insight in many complex issues while providing pathways for success. 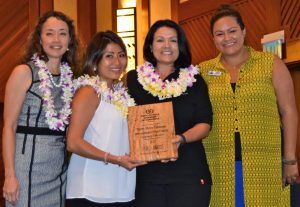 She led KKCC’s efforts to work with other Chambers on island and statewide soliciting support and collaboration on issues affecting us on Hawai‘i Island. This year’s recipient has always strived to guide the chamber down the right path on what is pono for the membership, the West Hawai‘i community at large and Hawaii Island.